In case you didn’t notice today is Wednesday. Games, along with other types of media, are usually released on Tuesday. Yesterday was the last Tuesday of April, which means we won’t be seeing the first episode of Telltale’s Jurassic Park: The Game this month like previously announced. In an interview with CVG, Spicy Horse head American McGee detailed some of the DLC that will be coming for the Alice sequel. “There will be DLC in the form of dresses that the player can download and Alice can wear. Those dresses come with special abilities and enhance how you play through the game.” He also revealed that Alice: Madness Returns will include a code that will allow console players to download and play the original hit PC-exclusive game. “There's also going to be pretty significant release which is the original Alice brought over to the consoles so that a person who's purchased Madness Returns gets a download code and is able to bring Alice 1 onto their console and play through the entire original game alongside playing Madness Returns.” Alice: Madness Returns will be available for the Xbox 360, PlayStation 3, and PC on June 14. Thanks to IGN for the video. GameInformer confirmed yesterday through its sources that Nintendo will be revealing a new console this year. The console will be unveiled at this year’s E3, or possibly sooner, and is expected to utilize full HD-capable graphics. In terms of processing power, it is unclear whether the console will rival the current generation’s frontrunners, Xbox 360 and PlayStation 3. Speculation about a new console gained momentum when a rumor surfaced about a price drop for the Nintendo Wii. According to Joystiq, an inventory list from Kmart listed the console as $149.99 starting May 15th. According to sources, Nintendo is already showing the console to developers and publisher, hoping to attract their interest for the new console’s software. At a press conference for the Nintendo 3DS, Satoru Iwata, President and CEO of Nintendo, stated, “We need to decrease the concern that only Nintendo software can sell well on Nintendo platforms and third-party software cannot sell in the same volume. We feel a need to have closer ties to our third-party developers from the beginning.” The console is expected to launch in late 2012. No information about online support was revealed. However, IGN is reporting that the new console will feature backwards compatibility with current Wii titles. CVG is reporting that the console’s controllers won’t simply be an upgraded Wii remote, but may contain a built-in HD screen. 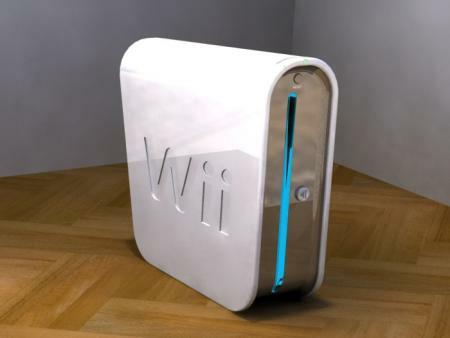 It is still unknown if the console will continue the branding of the Wii, or change the name in favor of something new. More information will become available over the coming months as we head towards E3. What originally started as a favor among friends has now finally come to fruition. Mortal Kombat: Legacy, the web-series from Kevin Tancharoen, was released today exclusively to Machinima on YouTube. Almost a year has passed since the leaked YouTube video was first seen as a peek into Tancharoen’s vision of the Mortal Kombat universe. Information has been scarce since the surprise announcement of Twisted Metal during Sony’s press conference at E3 2010. However, the Eat Sleep Play game was recently featured on last week’s episode of GameTrailers TV with a brand new trailer and revealing a release date of October 4. This will be the eighth game in the Twisted Metal series, which started back in 1995 on the original PlayStation and quickly become one of the console’s greatest hits. You can watch the full trailer for the game below. Twisted Metal will be available on October 4 for the PlayStation 3. Since its release less than two weeks ago, BioWare’s Dragon Age II sold over 2 million copies, and now BioWare wants to reward their fans. Being called the BioWare Sequel Celebration, everyone who purchases a copy of Dragon Age II and activates its online pass by 11:59 PDT on April 30, 2011 will be given code to enter at the BioWare Social Network. The code will enable a free copy of the PC version of Mass Effect 2 through the EA Download Manager. "Thanks to gamers like you, Dragon Age 2 is off to a great start - breaking the one million mark in less than two weeks and faster than Dragon Age: Origins," BioWare said. "We appreciate your support. As a special thank you for helping with the game's early success, BioWare would like to present you with a download code for 2010's Game of the Year, Mass Effect 2 on PC." In addition to Mass Effect 2, the code will also grant access to the Cerberus Network, the system Mass Effect 2 uses to distribute its DLC, which includes Zaeed - The Price of Revenge, Cerberus Weapon and Armor, Normandy Crash Site, Cerberus Arc Projector, and Firewalker Pack. Be sure to check the site’s FAQ for full details. An accidental flyer was posted this morning on Game Australia’s website revealing the next map pack for Activision and Treyarch’s Call of Duty: Black Ops. Titled Escalation, the map pack will be released on May 3 according to the flyer. An Xbox Live banner is also shown, hinting that it will be hitting Microsoft’s platform first, similar to the first map pack, First Strike. The flyer has since been pulled from the website, but you can see a picture of it below.